Mahias, sporting a special livery on his leathers and helmet to celebrate the fact that Magny-Cours is his home race, led most of this morning’s first free practice, but was demoted to third right at the end of session as Sandro Cortese and Jules Cluzel improved on his time. Mahias continued to work on race set up for the majority of this afternoon’s second session, before heading out for a time attack with just over two minutes remaining. The French rider set his fastest time of the weekend on his final lap, to end the opening day second on combined times and just 0.239s off provisional pole position. Caricasulo took his normal approach to the opening day in France, using the two free practice sessions to work on finding a good race set up on his Yamaha YZF-R6. The Italian was fourth fastest in this morning’s first 45-minute free practice but despite improving his time this afternoon, fast laps at the end of the session from riders looking towards qualifying tomorrow saw him slip one place to fifth. The GRT Yamaha rider, who is just 20 points from the top of the championship standings with three races to go, will use tomorrow’s third and final free practice to work towards qualifying, where he is confident he can challenge for a front row start for Sunday’s 19-lap race. 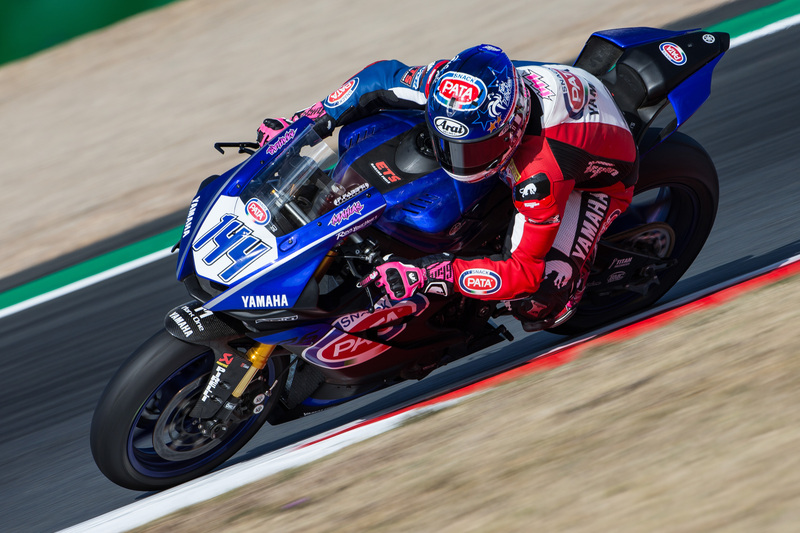 Forced to sit out this morning’s free practice session after encountering a technical problem having completed just two laps, European Supersport Cup rider Coppola was also frustrated by problems this afternoon, with the Italian youngster sidelined once again with a technical issue. The team will investigate the issues further tonight, as they work to ensure that Coppola is back on track for tomorrow’s final free practice.